In Fort Lauderdale, Florida, MyLooks is the go-to facility for premium plastic surgery, cutting-edge techniques, and unrivaled customer service. MyLooks offers a range of popular breast augmentation procedures, including breast implants, breast reduction, breast lifts, breast implant removal, and more. At MyLooks, patients are the top priority. That's why they offer complimentary consultations, digital imaging, customized procedures, and attentive after-care. 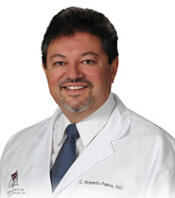 Dr. C. Roberto Palma is the lead board-certified plastic surgeon at MyLooks Fort Lauderdale. In addition to his warm professionalism, patients value Dr. Palma's impressive educational background: a medical degree from Harvard Medical School and post-graduate training at Stanford University. In addition to leading the staff at MyLooks Fort Lauderdale, Dr. Palma is also considered a leader in the field of plastic surgery. He is the creator of SimpleLIFT, a face and neck lift procedure that requires no general anesthesia or aggressive surgical techniques. Dr. Palma proves the MyLooks philosophy that patients come first by attending regular seminars on new plastic surgery developments, which allows him to offer his patients the most innovative procedures on the market. MyLooks is South Florida's top destinations for top-tier plastic surgery. To learn more about MyLooks or to set up a free consultation for breast augmentation and other procedures, contact our representatives now. MyLooks proudly serves Fort Lauderdale, Hollywood, Pembroke Pines, Pompano Beach, and other cities in South Florida. Harvard Medical School - Boston, Massachusetts, 1971-1975; M.D. University of California - Los Angeles, California, 1968-1971; Pre-Medical. Contact us to arrange a private consultation with My Looks - Fort Lauderdale today. "Staff at the office is very warm and caring. They make you feel very comfortable and at ease. Dr. Palma is very soft spoken, warm and inviting. He spends his time assessing the individual and makes his recommendations regarding what is best for that optimal look and the individuals personalized goal."